Sorry if this is a rant ,,BUT,,someone just asked us if we could ship a complete 1600 thru DHL I'm mean really ,,are people this clueless? Of course you can't ship a 1600...but you might try a 1500; they're smaller, right? 10 boxes, 200 lbs via UPS, $200, the same 2332 as above. how much does a 1600 weigh?? DHL had world wide freight shipping capabilities. What is delusional about that? why couldnt you ship it? strap it to a pallet and ship it. they will probably lose it, but who cares once it leaves you. 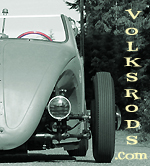 Have no probelm with palleting a motor ,,shipped about a 1/2 dozen V-12's that way. But this is a complete running motor,( kinda defeats the purpose of buying a running motor ,,just to rebuild it ),Not taking it apart and putting in boxes.. They weigh bout 250 I'd say. DHL limit is 150 lbs...and anymore Shipping weight that size gonna be more than someone pays for the motor. Last edited by Sowsy; July 21st, 2008 at 05:23 PM. Just shipped 4 wheels to Ca. by Greyhound. 69 lbs. $73.They also added a $7.60 fuel surcharge. yea, we had a motor pallet'd in once cause thats what the customer wanted. besides being dirty and semi-rained on it was fine. Please, tell me you actually did this. Your missing the point or might just be me.. Believe me I know there are ways to ship anything ( as we have done it ) Just saying that alot of people seem to think it's as easy as packing up a wheel. Though your asking X amount they ask for it for less ,you say fine you pull it out. Then they say,"well I live California"
Last edited by Sowsy; July 22nd, 2008 at 05:57 AM. i kept cliking and clicking and no engine came out of my printer. Damn you you ripped me off. Sorry SOWSY. I did misunderstand. I thought you were looking for a better manner of shipping and missed that an awful lot of folk really don"t understand the difficulty and cost involved. Something big and heavy like an engine has to go truck freight. I agree people are stupid, most do not think. Just tell them truck freight is the only way it can work, give them a few names to call, and let them make all the arrangements. Well, at least you have the motor out & ready to go to a local... If there's anyone local that wants it! Try posting it on your local craigslist or something . If I were closer, I would try talkin you down on the price... But, that's only cuz I'm Braoke & Very Cheap! I do understand you though! I hear moans and groans everyday about shipping costs. I just ask if they have pumped gas into their own car lately? They normally understand. If not, they are more then welcome to pick up here. You have to charge for your time and effort. We do, unless its a V-rod Coalition member! me, where would I ever find a dolphin? Don't you live near the Ocean ? Tooo funny! Where is that wirebrush guy when you need him?